Sims modders have always been some of the best in the business. But even by their high high standards, this new “Go To School” mod for The Sims 4 has to be the coolest, most ambitious player-made project I’ve seen for the game so far. It adds a whole school system to the game. Impressive! Go To School is the latest project from Zerbu, a well-known and prolific Sims modder. It expands on a new-ish template that The Sims 4 established with its recent Get To Work expansion, which added discrete workplace locations that Sims could travel to and, y’know, work at during their normal vocational hours. Go To School does something similar, the main difference being that instead of adult Sims going to their offices, its child and teenage Sims going to elementary and high school. While they’re there, student Sims can participate in new activities like field trips, themed costume days, even play hookie. I bet this goes great with the teen pregnancy mod...at least, for Sims players looking for more dramatic storytelling potential in their games. Model elementary and high schools have already started to pop up on The Sims 4 gallery, meanwhile. Emilee’s work was “merely satisfactory?” Guess she’s gonna have to try harder next time. 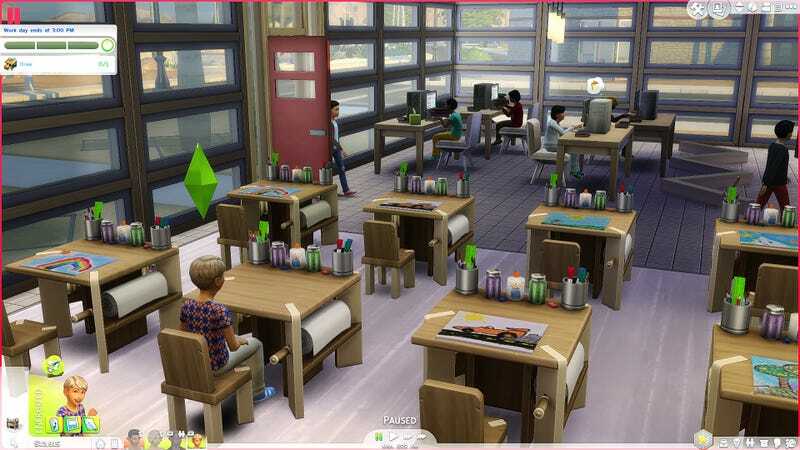 It’s awesome to see fans and players produce work as wide-ranging and ambitious as something that adds a de facto school system into The Sims 4. Despite the controversies The Sims and its developers have faced when, say, they neglected to feature toddlers and swimming pools in the original Sims 4 release, it’s hard to remain entirely pessimistic about the state of the game when a passion project like Go To School finds it way into the game. You can download the Go To School mod from Zerbu’s Tumblr page.